Manuel Gonçalves Martins has a degree in Social Sciences from the Catholic Institute of Paris. He holds a Ph.D. in Sociology from the University of Paris X, and a Ph.D. in International Relations from the University of Minho. 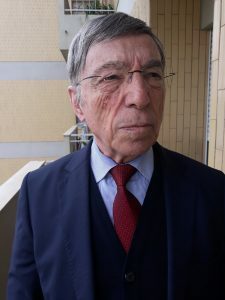 He is currently a professor and director of the European Studies, Lusophone Studies and International Relations courses at the Lusófona University of Porto. His research interests focus on the areas of Political Science and International Relations, specifically on the challenges of International Relations.